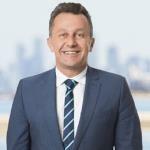 Established to meet the needs of one of Melbourne's fastest-evolving blue-chip markets, Branon Real Estate offers a strong commitment to customer service backed by broad local knowledge, wide networks and a deep understanding of Bayside, Australian and global buyers. At Branon, we offer a minimum of two sales professionals handling your property at any time. This will ensure all buyers receive the attention they require. We also have a highly skilled marketing department, providing our vendors with competitive rates to ensure their property is marketed to all major internet portals and print media. We can obtain free editorial in the local leading papers and get the top stop on internet advertising. We ensure our street boards and brochures are up to date and modern with state of the art facilities. We also have a property stylist that works in our team to best present your property to sale. Depending on the type of home you have, the market and the location, both Private Sale & Auction Sale methods are a great approach to selling you property.